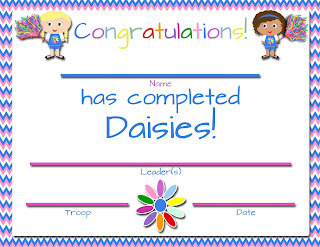 Please note that in an effort to keep these printables "FREE" I do not offer edits or customizations. However, please visit my Etsy shop for quotes on custom designs made just for you! 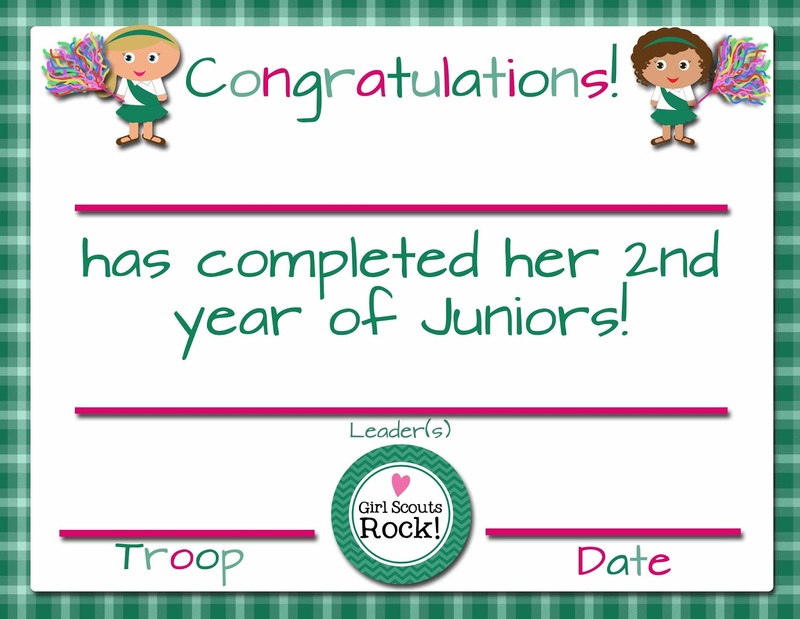 Since many troops are finishing up their school year in the next couple months, I'm posting some of the certificates that might be helpful to the leader(s). 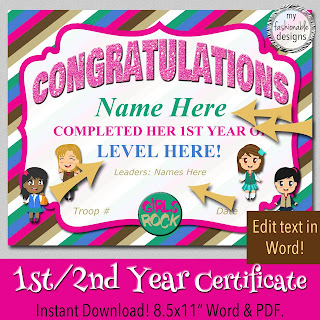 Here is a FREE printable First or Second Year certificate. For your personal or troop use only. 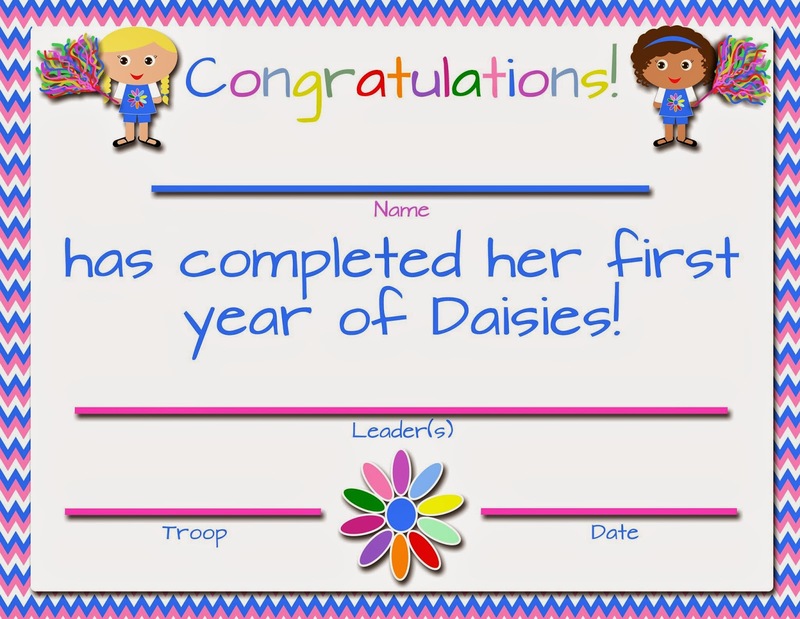 Hi- Any chance i can get either an editable copy of the certificates or one for seniors/ambassadors? We have all age levels and it wouldn't be fair to not have all of the girls get one. Hi Jess! 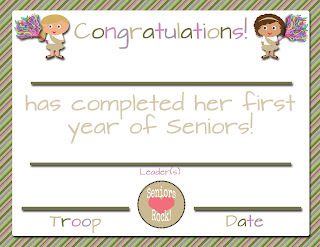 I have updated the blog post with the Seniors certificates: http://fashionablemoms.blogspot.com/2014/05/girl-scouts-free-printable-first-year.html?showComment=1432754470299#c4223809919485744922. 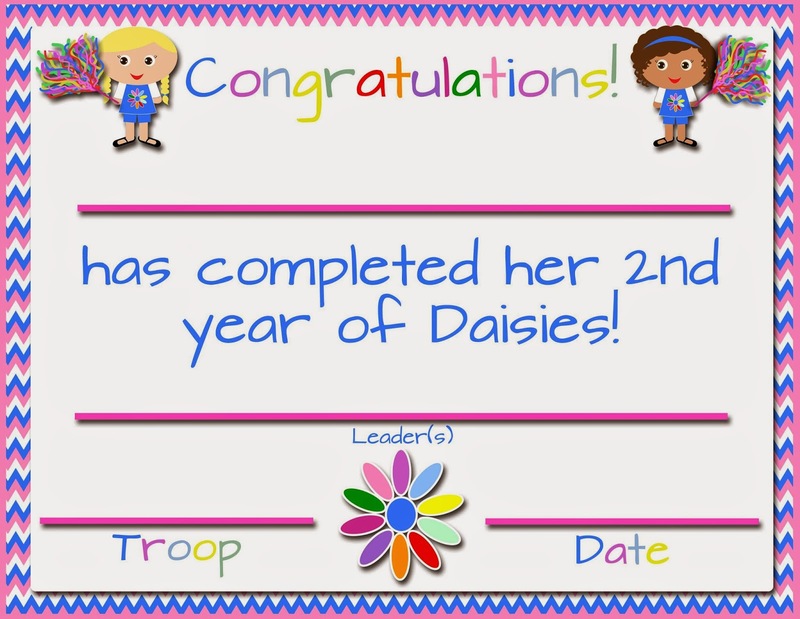 You have a 2nd year daisy certificate but I could not find a 2nd year one for brownies and juniors, do you have one or is there a way I could get one? We have a multi age group with girls in all different years and want to make sure they all have one. Absolutely love the certificates!!! Hi Sarah! 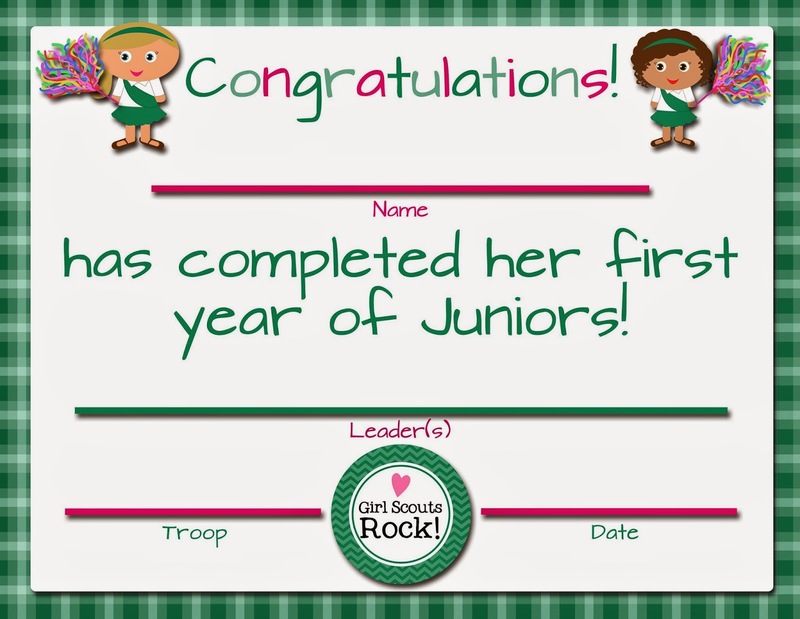 They're up now: http://fashionablemoms.blogspot.com/2014/05/girl-scouts-free-printable-first-year.html?showComment=1432848099633#c3315353831626697423. I must have omitted them originally because I thought most troops bridged to the next level after two years and just used the bridging certificate....but I guess that's a little different around the country! The documents are centered in the PDF, so unless your printer is changing the size, they should print centered. Also how do you get them centered on the page when printing? I love your certificates. Can you post one for 3rd year Cadette's and also 1st and 2nd year Ambassadors? 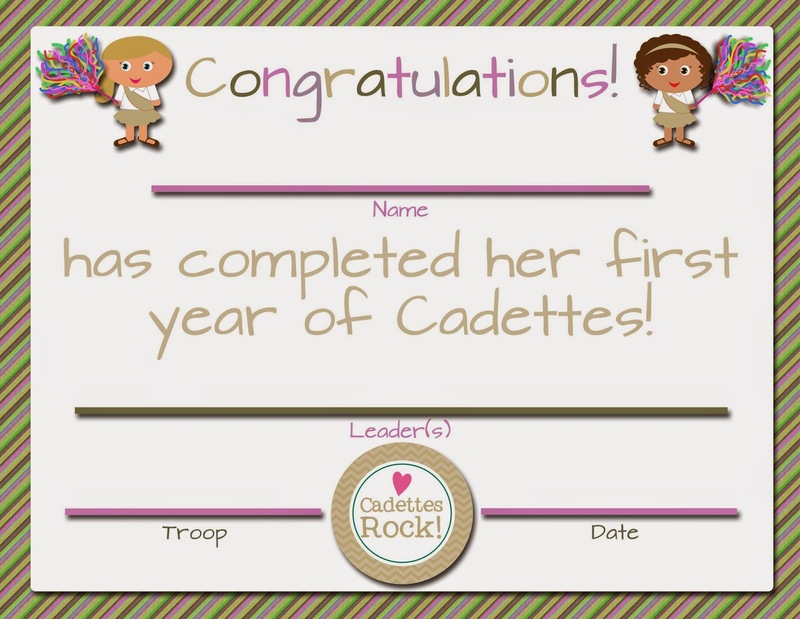 Also, at the bottom of the Senior certificates, they say 'cadettes rock'. Can you update that? Can you create one for Ambassadors, both 1st and 2nd years as well as a 3rd year Cadette? 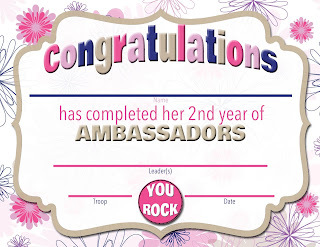 Did you get a first year ambassador completed yet? We have bridging on Saturday. Thank you!! 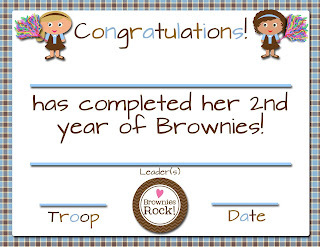 I just printed out the first year Brownie certificate for my oldest daughter's troop! Can you get one for completing brownie and completing junior. We have girls that joined but only completed one year before moving on because of their grades. 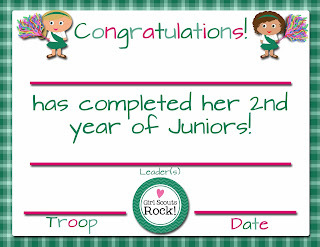 Do you have investiture/re-dedication certificates? School's Out Countdown! 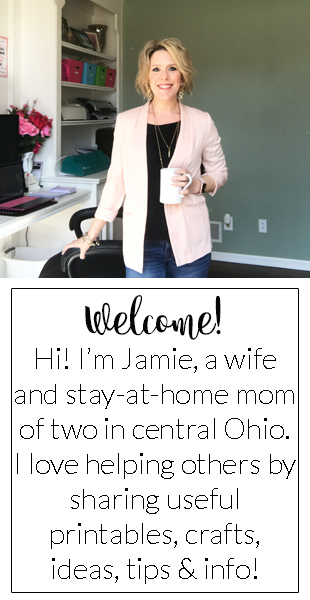 FREE Printable!! !